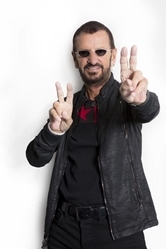 Ringo Starr to kick off US tour at The Joint . Beatles Radio: The Beatles, Solos, Covers, Birthdays, News The Fab 4 and More! Hard Rock Hotel & Casino Tulsa has announces that, after touring through Europe, Ringo Starr and His All Starr Band will launch the U.S. leg of their 2018 tour at The Joint: Tulsa on Sept. 1. Tickets start at $89 and go on sale Thursday, June 7. Starr and His All Starr Band will feature classic hit after hit, with each band member bringing to the set their most popular songs. The 2018 All Starr Band includes Colin Hay ("Who Can It Be Now," "Land Down Under"), Steve Lukather ("Africa," "Hold the Line," "Roseanna"), Gregg Rolie ("Black Magic Woman," "Evil Ways"), and new member Graham Gouldman of 10cc ("I'm Not in Love," "Things We Do For Love"). On percussion and sax is Warren Ham, and on drums is Gregg Bissonette. Starr has often called the All Starrs "the best 1-800-band in the land." When talking about his 2018 tour, he said, "There is no greater joy for me than playing great music with great musicians. Every night we get to play for all those loving people, and it makes the hassle of touring worth it."